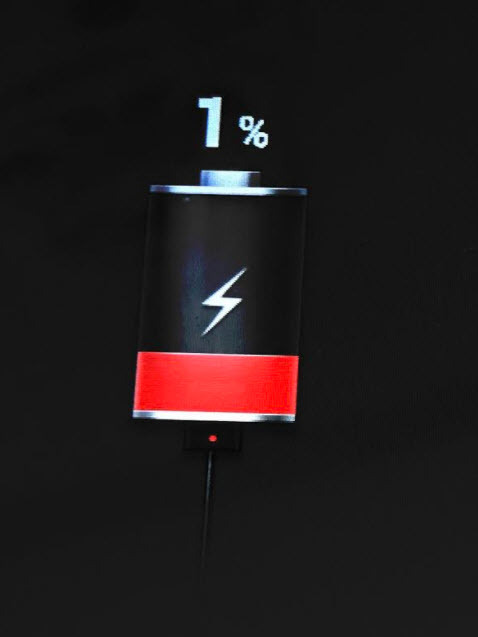 When you plug the device into the charger you will get an audible message saying "Device Is Charging" and you will see the message on the screen: "Screen will black out when unplugged. New User? Download AngelSense app on your mobile to get started." You can also check the status bar in the app. When the device is charging, the lightning bolt appears next to the battery, and the battery is colored green. NOTE: When troubleshooting, if you can see the the battery charging icon with the percentage showing on the device's screen itself (not in the app), this means that the device is OFF. The device does charge while turned off and connected to the charger so it would simply need to be powered on. We suggest to keep the device charging when not in use. It is best to keep the device charged instead of letting the battery run out.